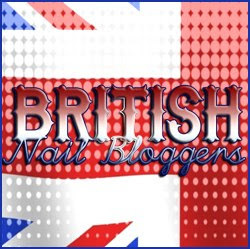 Ask A British Nail Blogger - Most Wanted Nail Polish! This weeks topic is....MOST WANTED NAIL POLISH! And I have to say I have about 10000000000 most wanted nail polishes by different brands! - I would love to have the Models Own Pastel and Neon collection! - I would love to own some indies since I dont have any! - I've won a bunch of Orly nail polishes but still want more! Comon lets face it I just want every polish ever! Tell me who doesnt?! I hope you get some of these soon! Swatcher ~ Barry M ~ Greenberry And Doodle Nails! Swatcher ~ NYC Rock Muse Smokey Top Coat! Ask A British Nail Blogger - Nail Care Routine? Swatcher - NYC - High Line Green! The One And Only Pac-Man!